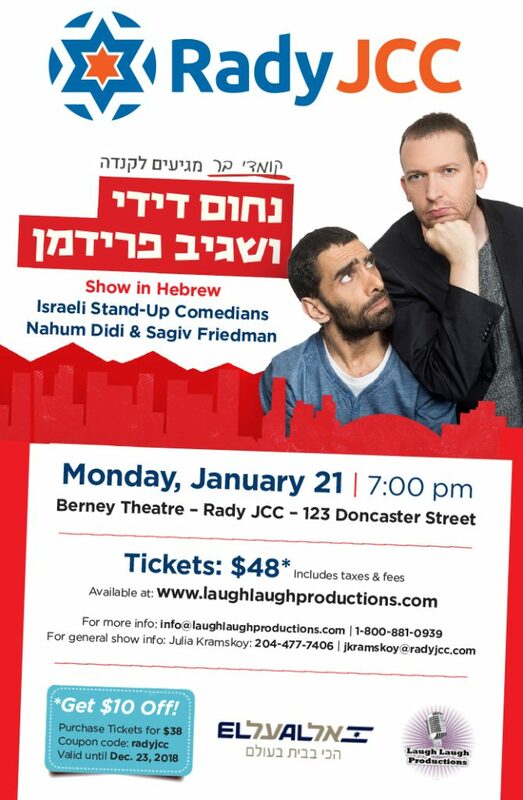 Toronto-based entertainment agency, producing stand-up comedy events, across Canada, featuring leading Israeli performers. 1 – Choose a number of tickets and click ADD TO CART (General admission – NO assigned seats). 2 – Click on CHECKOUT. 3 – Type the coupon code and click on APPLY COUPON.